It's hard to imagine the kind of person who would be a casual fan of Dave Kleh's music. The local songwriter's latest, It Becomes a Hassle to Be a Genius When You've Run Out of Limes, is not an album you'd feel inclined to start — or end — your day with, or cook dinner to. No, this is more the kind of music you might play if you felt compelled to reorganize the byzantine interior of Jamba's Junktiques. If you're not picking up what I'm putting down: It's weird. The album commences with an intro track, "Welcome to Our World," which properly welcomes us to Kleh's strange world with a fadeout of presidential speeches interspersed with maniacal laughter and the bubbling of a mad scientist's laboratory. The title song is next. Stylistically, the nine-minute cut is the most distanced from Kleh's pack of 11 songs, in which there are few musical similarities to be found. But the real distinction is the spoken-word approach to lyrics, which falls somewhere between Lou Reed and a suburban white kid laying down hip-hop verses on his Macbook. Kleh proclaims, perhaps ironically, "I am a traveler who has travelled through time / I am a master quick wit and slick rhyme ... It becomes a hassle to be a genius when you've run out of limes." The zeitgeist of music — and Kleh's lack of a place in it — is a major theme of the album. It's explored deeply on "All the Music Was So Magical." The track cleverly recycles, tweaks and mashes up lyrics by artists such as the Animals, the Beatles and Pink Floyd. "Yesterday, all the music was so magical / now it's just a silly game they play on the radio / it all sounds the same," he sings. You can practically hear Kleh wondering aloud why more audiences don't demand an alternative approach to sound and theme — like, say, his own. Kleh is clearly a scholar of sound. His comprehensive musical quiver shows such a fluid assortment of styles that you can't help but make comparisons to Ween, who might be one of the few bands that can out-weird Kleh. Like Ween, Kleh presents himself as an eccentric's musician. He is cut of a multicolored cloth patched together from obscure secondhand fabrics, and he will not shop at JCPenney. However, to hear him consistently gripe about his lack of recognition, juxtaposed with how boring and terrible popular music has been for the last 60 years, it's no wonder that history hasn't selected him as a great musical mind. It's kind of a sad notion, but all hope is not lost: Most geniuses are recognized posthumously. 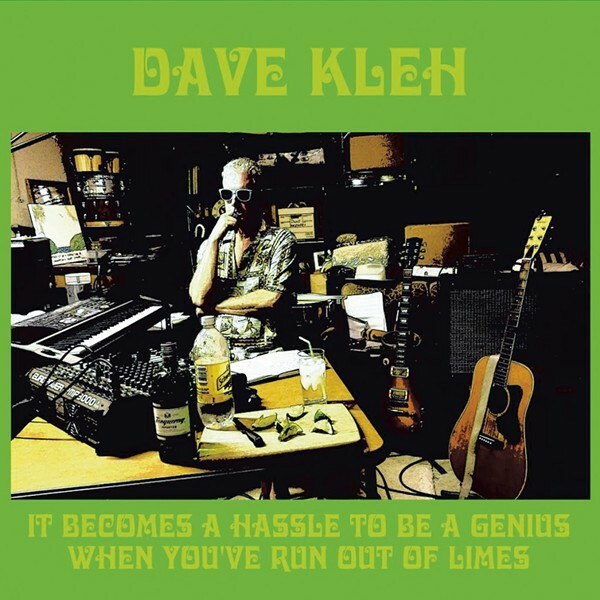 It Becomes a Hassle to Be a Genius When You've Run Out of Limes is available at davekleh.bandcamp.com.